Intrinsic, or "built-in," mechanisms within individual organs provide a localized regulation of vascular resistance and blood flow. Intrinsic mechanisms are classified as myogenic or metabolic. Some organs, the brain and kidneys in particular, utilize these intrinsic mechanisms to maintain relatively constant flow rates despite wide fluctuations in blood pressure. This ability is termed autoregulation. If the arterial blood pressure and flow through an organ are inadequate—if the organ is inadequately perfused with blood—the metabolism of the organ cannot be maintained beyond a limited time period. 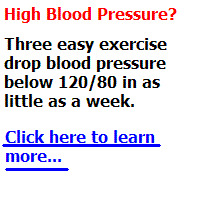 Excessively high blood pressure can also be dangerous, par ticularly in the brain, because this may result in the rupture of fine blood vessels (causing cerebrovascular accident—CVA, or stroke). Changes in systemic arterial pressure are compensated for in the brain and some other organs by the appropriate responses of vascular smooth muscle. A decrease in arterial pressure causes cerebral vessels to dilate, so that adequate rates of blood flow can be maintained despite the decreased pressure. High blood pressure, by contrast, causes cerebral vessels to constrict, so that finer vessels downstream are protected from the elevated pressure. These responses are myogenic; they are direct responses by the vascular smooth muscle to changes in pressure. Local vasodilation within an organ can occur as a result of the chemical environment created by the organ's metabolism. The localized chemical conditions that promote vasodilation include (1) decreased oxygen concentrations that result from increased metabolic rate; (2) increased carbon dioxide concentrations; (3) decreased tissue pH (due to CO2, lactic acid, and other metabolic products); and (4) the release of adenosine or K+ from the tissue cells. Through these chemical changes, the organ signals its blood vessels of its need for increased oxygen delivery. The vasodilation that occurs in response to tissue metabolism can be demonstrated by constricting the blood supply to an area for a short time and then removing the constriction. The constriction allows metabolic products to accumulate by preventing venous drainage of the area. When the constriction is removed and blood flow resumes, the metabolic products that have accumulated cause vasodilation. The tissue thus appears red. This response is called reactive hyperemia. A similar increase in blood flow occurs in skeletal muscles and other organs as a result of increased metabolism. This is called active hyperemia. The increased blood flow can wash out the vasodilator metabolites, so that blood flow can fall to pre-exercise levels a few minutes after exercise ends. 1. Describe the relationship between blood flow, arterial blood pressure, and vascular resistance. 2. Describe the relationship between vascular resistance and the radius of a vessel. Explain how blood flow can be diverted from one organ to another. 3. Explain how vascular resistance and blood flow are regulated by (a) sympathetic adrenergic fibers, (b) sympathetic cholinergic fibers, and (c) parasympathetic fibers. 4. Describe the formation and action of nitric oxide. Why is this molecule considered a paracrine regulator? 5. Define autoregulation and explain how this process occurs through myogenic and metabolic mechanisms. What are the intrinsic mechanisms in the blood? What part of the brain controls oxygen and blood flow to skeletal muscles? How does the heart compensate for blood flow changes to maintain blood pressure? How is blood diverted from one organ to antother? Does vasodilation remove metabolic products? What is metabolic vasodilator wash out? Can vasodilation be maintained by intrinsic regulation? 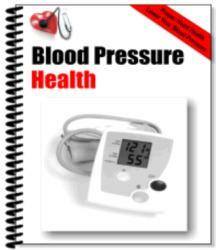 What is an intrinsic mechanism of blood pressure? How is intrinsic regulation of blood flow? How is blood diverted to and from tissues? How does the body locally regulate blood flow (intrinsic regulation)? What process occurs in which blood flow is maintained regardless of changes in arterial pressure? Is an increase in blood to your muscles intrinsic, or extrincic? How body intrinsic and extreinsic control of blood flow through exercise? How does the intrinsic and nervous mechanisms regulate blood pressure? What are intrusic metabolic regulation? How can describe the physiology of blood pressure regulation? What are extrinsic and Intrinsic factors of metabolic regulation? What is the intrinsic mechanism of blood pressures? What is the mechanism involved in intrinsic control of blood flow in physiology? What are regulatory that control blood flow? Which regulations are control blood flow? What happens in the regulation of intrinsic control? What is intrinsic regulation physiology? Why are the intrinsic regulatory mechanisms insufficient to correct chronic high/low blood pressure? How is intrinsic factor essential for blood flow?